Manage your requests and receive vacation reminders about your team’s absence directly in Slack. With Vacation Tracker it has never been easier to request vacation, day off or a half-day. To request any leave type, simply type in “/vacation” in any channel in Slack, select the date you want and we’ll send your request to the administrators within seconds. The administrators will receive a notification with the request which they can approve or deny though Slack or the administrator dashboard. To request any type of time off, all your team members have to do is simply type “/vacation” in any channel in Slack, and they will be presented with various options. All they have to do it select the dates, or hours if they’re taking a half-day off, and confirm. 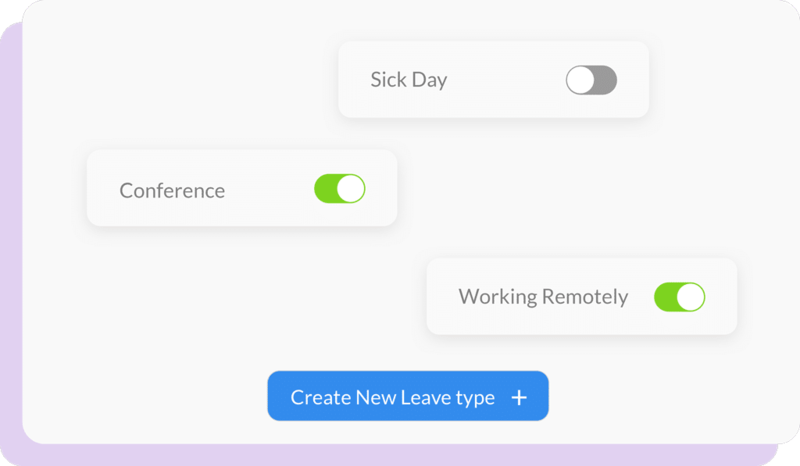 All other leave types ranging from Sick Day, Conference, Working Remotely, PTO, Paternity Leave, Jury Duty and more, can be configured by the administrators. The default leave type is “Vacations and Days Off”. Everything, except “Vacations and Days Off” can be configured in “Settings”. Do you have offices in different locations? Not a problem. You can set up different teams in Vacation Tracker within seconds. You can have different administrators for each office to approve time off for their teams and set up holidays globally or for each team separately. The calendar and the dashboard can be filtered by teams giving you only the information specific to that team. Vacation Tracker will send a daily summary of all the pending requests from your team to the administrators. 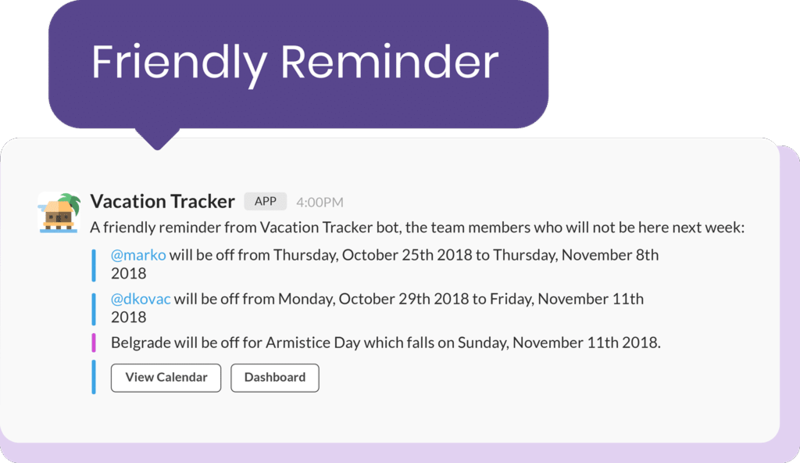 Once approved, team members will receive reminders directly in Slack about upcoming vacations, days off and holidays. You can have both daily and weekly notifications, whatever better suits your team. Administrators can set up holidays for each team, whether they’re in multiple locations or not. The holidays can be set globally or for each team individually. As an administrator, you can generate and export reliable reports as CSV files. 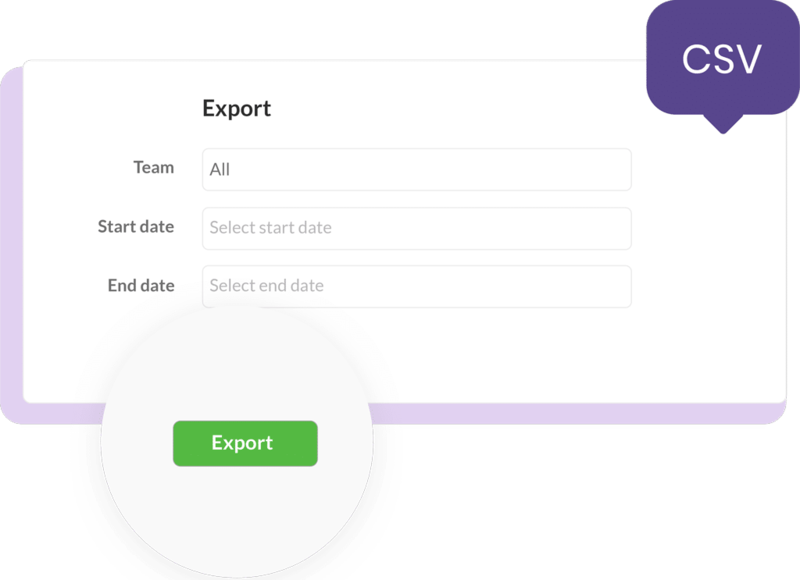 Simply select the information and the dates you want, and export. 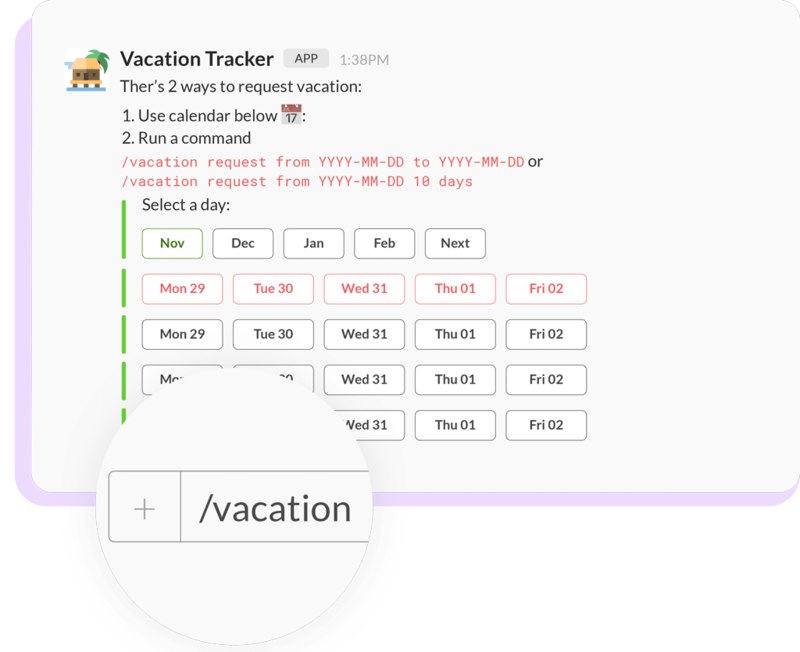 Every Slack message from Vacation Tracker has an embedded link to the dashboard. The dashboard allows administrators to easily approve or deny requests, manage notifications, and have a daily, monthly and yearly overview of the team’s vacations and days off. Synchronize your vacation information with Google Calendar, Outlook or iCal easily. 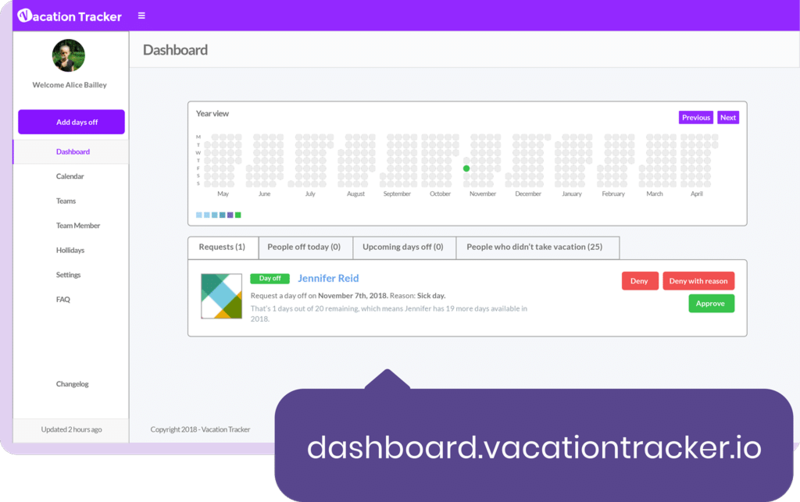 Vacation Tracker allows you to pull information directly into your calendar of choice so that you are aware if somebody is on vacation. You can choose specific team members who will be using Vacation Tracker. 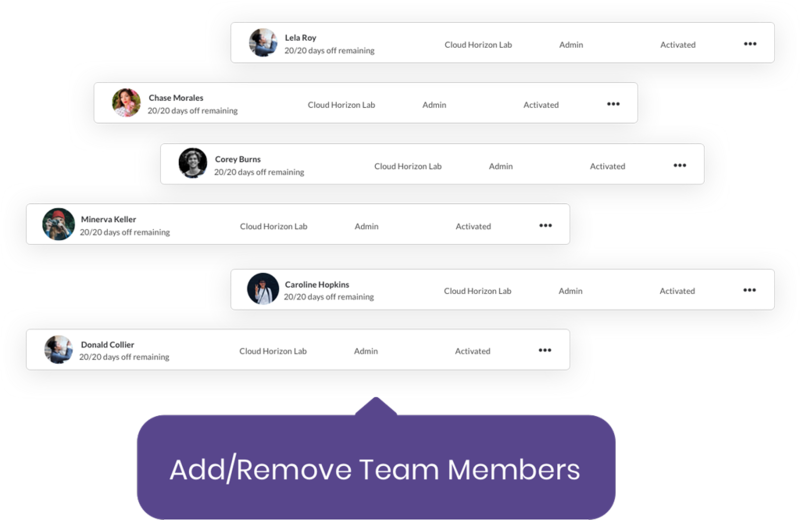 To add or remove Slack users from a Vacation Tracker organization, go to the “Team Members” page and select the team members you want to add/remove. Users who are currently using Vacation Tracker are active, while the ones who aren't using the software are inactive. 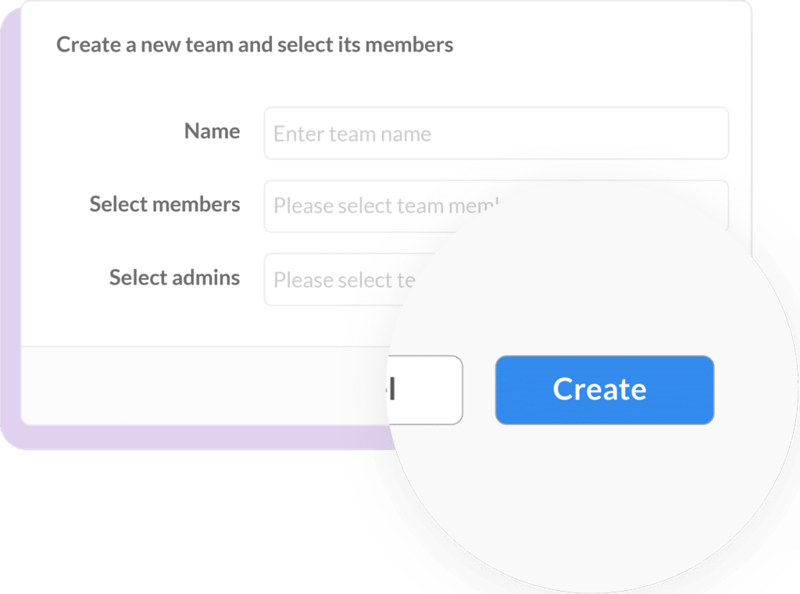 You can always modify each team member's status in the "Team Members" page. As many companies have a different fiscal year start date, we’ve added an option to set your company’s start/year-end date according to your needs. This can be modified during the onboarding process, and in the “Settings” page in the administrator dashboard. Taking notes about vacation requests in a spreadsheet is a thing of the past. With Vacation Tracker it has never been easier to manage your employees' time off requests. When our team had 6 people, it was easy to keep track of who was out of office and when. As our team scaled to 30 people, it became difficult for us to keep track of when people in our team were away from the office and how many days off they had remaining. It also became problematic that some team members had no idea when people who worked on the same projects as them took off on vacation or to go to a conference. At first, our solution was to use an excel vacation calendar. 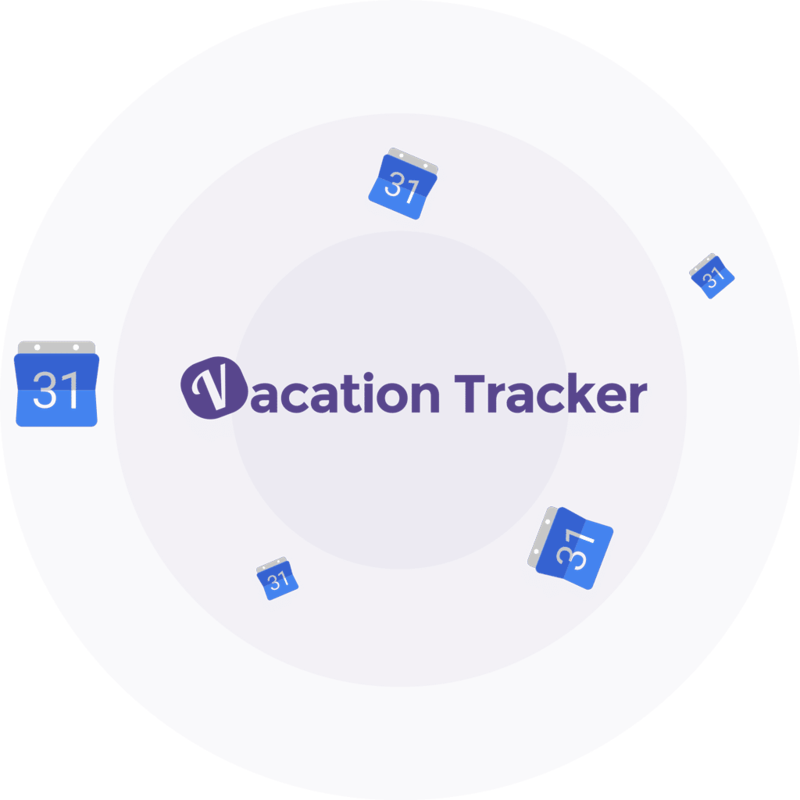 Then we moved to Google Calendars. But both of these did not provide a solution to all the issues we were facing managing our team’s vacation calendar. Our next step was to try to implement a more comprehensive solution in the form of an HR system. We quickly discovered that most of the HR systems out there have way too many features and as a result, were quite expensive considering we only wanted to use them as a leave management system for our team. So finally, we decided to create our own vacation calendar for time off tracking. A tool that would only manage time off for our team through Slack and nothing else. We agreed that we would provide integrations into other HR systems but that we wanted to maintain the simplicity of the product by focusing only on vacation calendar management and notifications. The idea for Vacation Tracker was born. You can learn more about Vacation Tracker on our new website. Get in touch with us if you have any questions or if you’d like to make a suggestion about how to make Vacation Tracker even more awesome. Interested in following our progress and getting updates about Vacation Tracker? Sign up to our newsletter below.